Courtesy of Sotheby’s Int’l Realty-PG, Deane Ramoni. Need a getaway place? Check out this unique studio Hexagon Home. Sited on a 4500 sq. ft. lot, its features include dome ceiling, breakfast bar, gas stove, walk-through closet to a stylishly tiled shower in bathroom, a detached carport along with a partially finished basement with laundry area. Move in ready condition, freshly painted inside & out plus new carpet. Yes, the blue you see out the windows is the ocean/bay. Natures habitat abounds for a variety of birds, deer, and squirrels. A quiet, peaceful, serene sanctuary in a close to everything part of Pacific Grove. 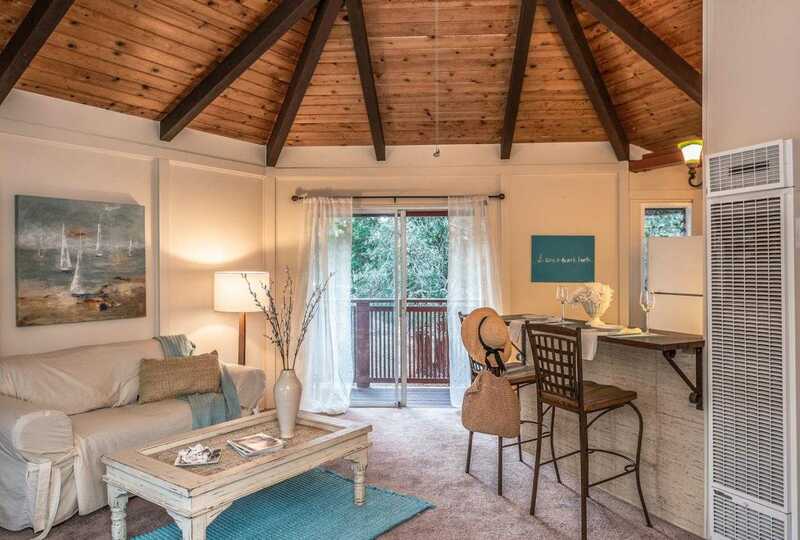 Please, send me more information on this property: MLS# ML81731485 – $508,000 – 1028 Benito Ave, Pacific Grove, CA 93950. I would like to schedule a showing appointment for this property: MLS# ML81731485 – $508,000 – 1028 Benito Ave, Pacific Grove, CA 93950. Copyright 2019 MLS Listings Inc. All rights reserved. The data relating to real estate for sale on this website comes in part from the Internet Data Exchange program of the MLSListingsTM MLS system. Real estate listings held by brokerage firms other than the office represented by this website are marked with the Internet Data Exchange icon (a stylized house inside a circle) and detailed information about them includes the names of the listing brokers and listing agents. The broker providing this data believes the data to be correct, but advises interested parties to confirm all information before relying on it for a purchase decision. The information being provided is for consumers’ personal, non-commercial use and may not be used for any purpose other than to identify prospective properties consumers may be interested in purchasing. Data courtesy of the CALRETS. Last Updated April 21, 2019 9:01 am.